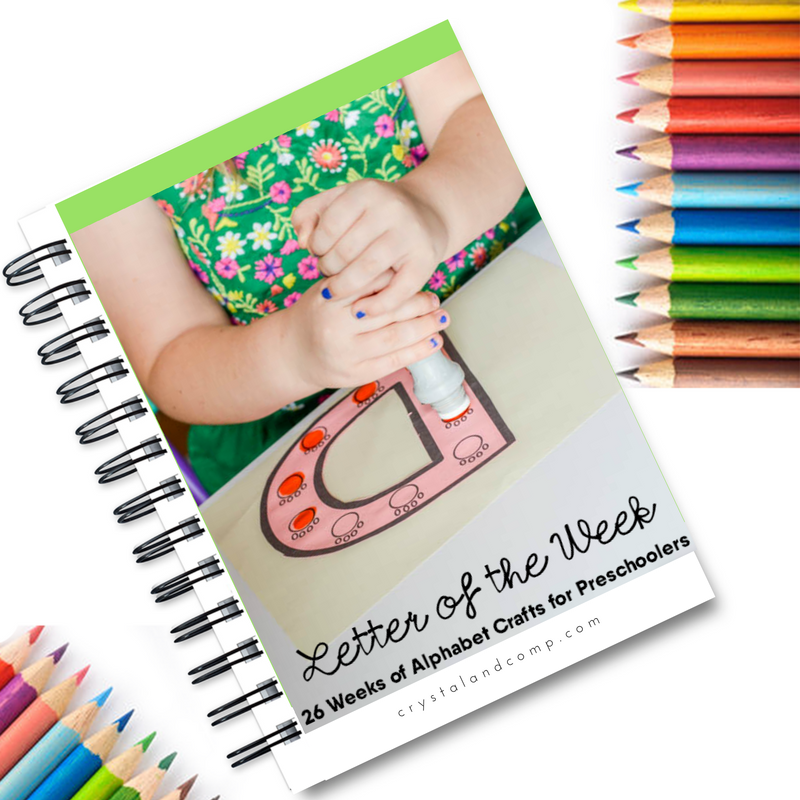 If you are looking for letter of the week crafts to do with your preschooler this school year, look no more! The entire alphabet is right here! The crafts include a free printable, if needed, and step by step instructions for creating an awesome alphabet activity with your little one. At the end of each craft there is a song and a rhyme you and your little one can enjoy together as well as a list of books you can read together. These are excellent activities to do together to really help your preschooler learn the letter, the sound it makes and enjoy games at the same time that make learning fun. Below are all of the crafts outlined in alphabetical order so you can come to one page to find them all! 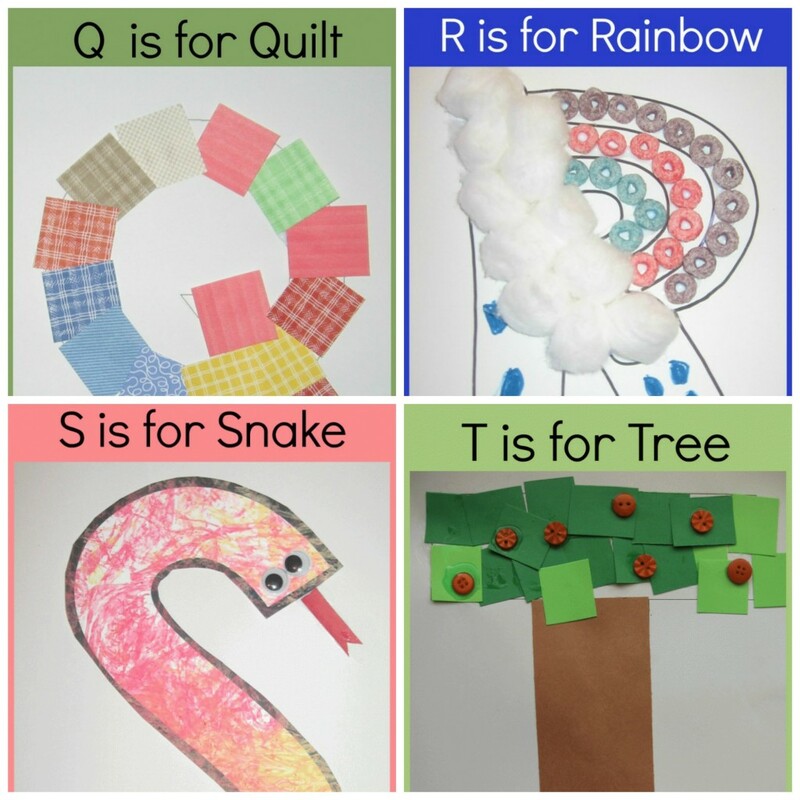 Enjoy these fun activities with your little ones and feel free to share them with any other parents who are looking for alphabet crafts to do with their preschoolers this school season! Each of these crafts were created for my readers by Anna from The Measured Mom. 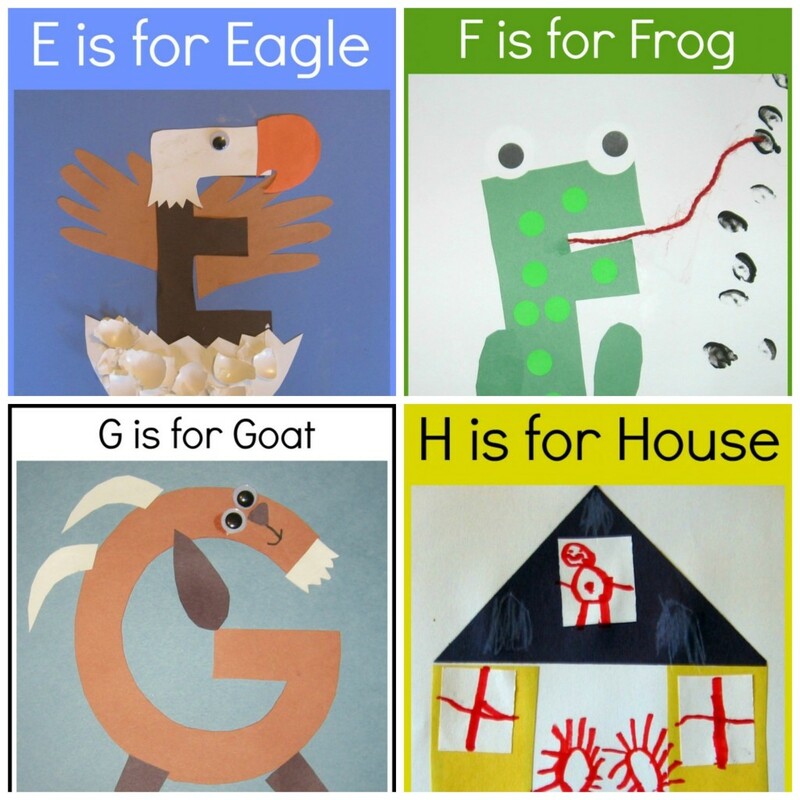 Hop over and check out all of her amazing alphabet activities for young learners as well! Make sure you Pin this page over on Pinterest so you always have it at your fingertips! Looking for a Reading App? We have found the perfect phonics based app that kids from 2 to 13 love. 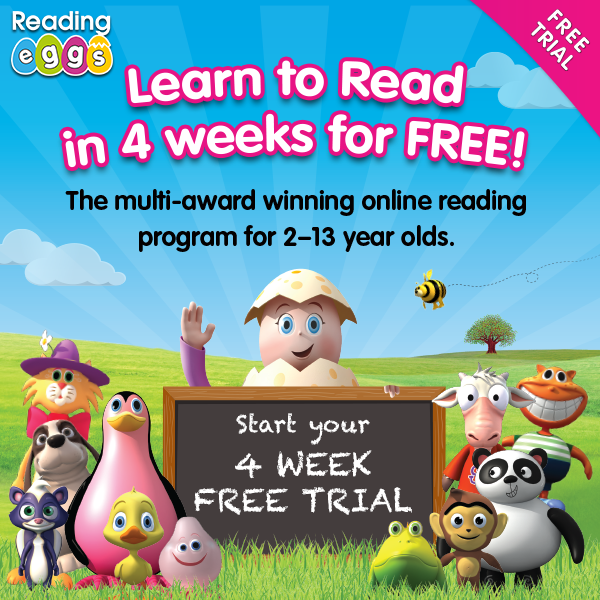 For preschoolers it encourages letter, word and sound learning and for older kids it focuses on comprehension, spelling and deeper reading skills. Get a free four week trial here. Don’t want to go from page to page for each of the templates, instructions and supply lists? Download it all in one file! Get all 26 Weeks of Crafts Here! Add our 26 weeks of handprint art too! Awesome to hear Jen! Thanks for stopping by. Found your link on Titus 2 Tuesdays. These are so cute! I’m pinning them to my preschool homeschool board for inspiration as I’m working with my preschoolers. Thanks for the thorough resource! Thanks for pinning, Rebecca. That is a great way to keep them easily at your fingertips and to share them with your friends! Dianna- we add a new letter each Tuesday. U was just added this past week. You can get that tutorial and printable here: https://www.crystalandcomp.com/2013/08/u-is-for-underwater-a-letter-of-the-week-preschool-craft/. V will be added this coming Tuesday (9/3/13). The project will conclude the first week of October with the letter Z. Keep checking back as the letters are added. Thanks for the inspiration! I’m getting ready to go from being a working mom to a SAHM next week and need some ideas for learning activities…this is perfect! Suzanne- how exciting! You guys will love doing these together! Thank you for sharing such great ABC crafts! These ideas are lovely! A new letter is added each Tuesday. We just added U this past week. You can view it here: https://www.crystalandcomp.com/2013/08/u-is-for-underwater-a-letter-of-the-week-preschool-craft/. V will be added this coming Tuesday and the series will conclude the first week of October with the Z craft. My son is just about to start learning his letters at pre-school. can’t wait to use these for re-enforcement!! Thanks for linking up to Tasteful Tuesdays at Nap-Time Creations… You have been featured… I’ve tweeted, +1ed and posted on FB… feel free to re-list on your social media…see you at the party next week! Thank you so much for the feature, Emily!! You rock! I am so impressed with the amount of work with each letter!! I’m working with my son to reinforce the letters at home he will be learning at school. His first letters for the month of September are X, Y, and Z…I know these letters are coming soon, but it will be too late for me when these are posted. Any way I can get some help on activities for these letters? Thank you! And thank you for sharing your resources! Such cute ideas! Featured you on Mom’s Library! Love all your cute letters and that your Alligator is eating A’s =) Too cute! SO CUTE!! Anxiously awaiting X Y Z!!! X Y and Z are super fun! Thank you so much for making all these super cute craft’s! I have a ton of friends who homeschool their children (including me) and it is always so fabulous to come across pages like yours! Thank you again! I LOVE these crafts! I’m a new children’s librarian and in our preschool storytimes this year I’m going through the alphabet. These are exactly the kind of crafts I’m looking to do with my kids, where you take the letter itself and create something! Thanks so much for posting these! What wonderful posts! Would love for you to link up at our 31 Days of ABCs! These are wonderful!! I’m pinning it to my (CarlaINHouston) Letter-themes!! board. Thank you for sharing such a fabulous resource! Carla recently posted..30+ Thanksgiving Activities for Children!! These are some really cute crafts. We also made letter shaped crafts when doing letter of the week. But it is always nice to get some fresh ideas. 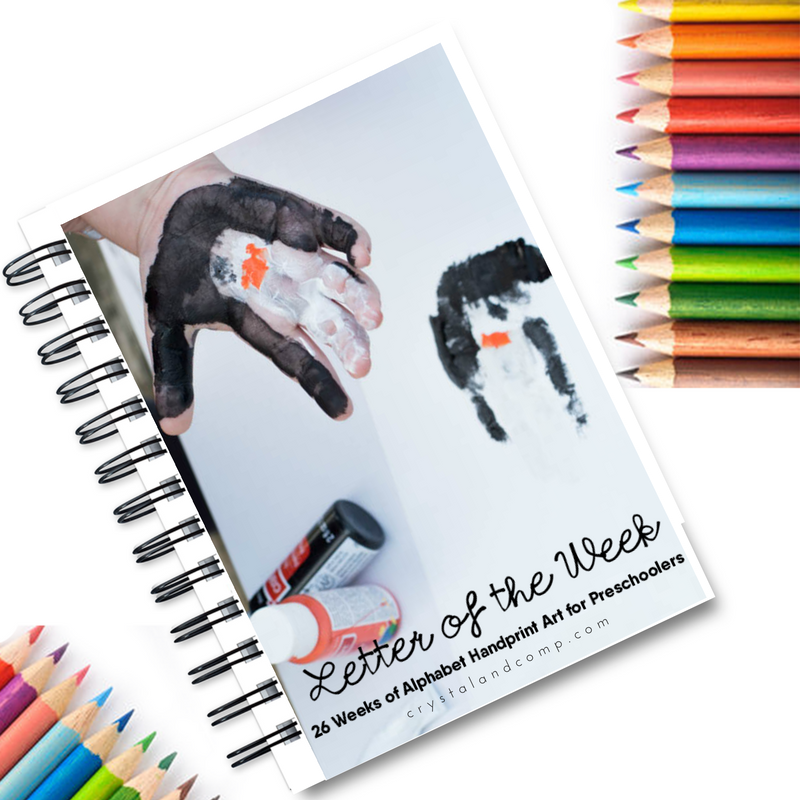 We will be doing letter of the week again next school year with my two youngest who will be 4 and 2. If I use any of these I will be sure to link back to you. These are so fabulous! Perfect for keeping things fun while learning. Thanks so much! I just love these letter crafts! I forwarded to my son’s pre-K teacher too! Thank you so much! I am so happy you like them. It means so much that you would share them. 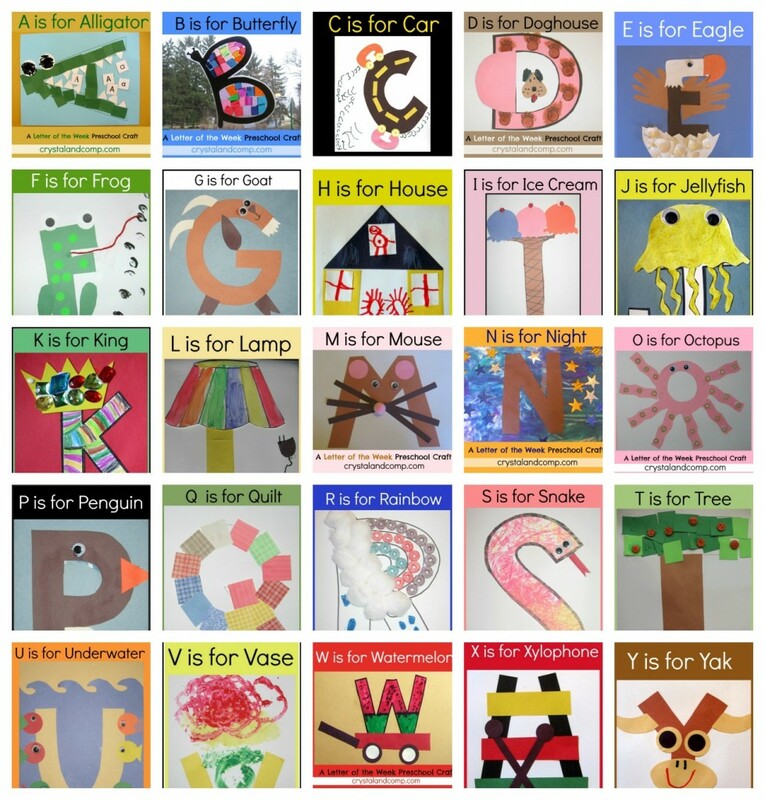 I loved these ideas so much that I’m now using them when I teach my son about the alphabet. I’m doing a letter a week, and I have featured this idea on my blog! Thanks so much for the great ideas. Other moms have told me they love this idea as well! I am so glad you love these. They are super fun. Thank you so much for the feature. Love your site and all the ideas! Awe, Tiffany. Thank you so much! This letters are so beautiful! Thank you for sharing! 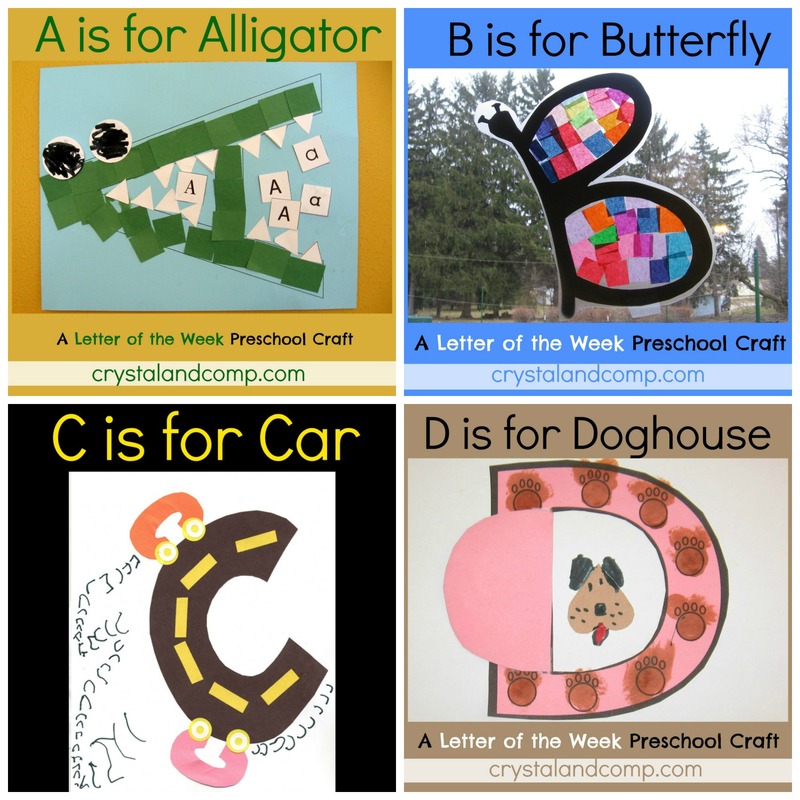 I love t he alphabet crafts! Pinning it! It’s great to see all these together. It’d be so fun to put them all in a book for a child! Thanks for sharing this at the After School Linky. 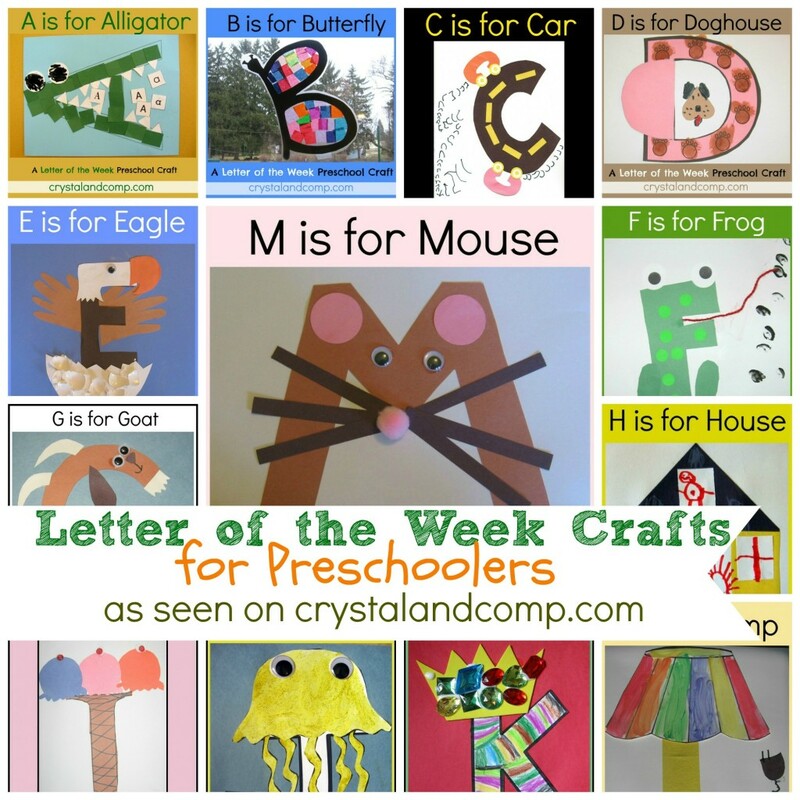 Crystal, you always share the best letter of the week crafts! These are so cute. I wish I was still homeschooling my daughter – alas, she is not 23! Thanks for linking to the In and Out of the Kitchen Link Party! We Absolutely LOVED your letter crafts! Do you by any chance have a set for the lowercase letters? SO CUTE! All of these projects are just darling! I am going to have to pin this! Thanks so much for pinning, Cathy! I love the ABC craft activities, except that e and i are long vowels and a, o, and u are short. We usually start with teaching all short vowels and only come back and teach long vowels after learning all of the other letters and getting a good grip on short vowels. Good to know, Debra. Thanks for the feedback. Amazing crafts. Really very nice. Thanks for sharing this. What a fun way for kids to learn the alphabet! What an amazing roundup of preschool crafts This is a great resource for homeschooling parents or even preschool teachers. These are all so great! I used to do crafts like this when the kids when they were that age. Oh my gosh I wish this was around when my kiddo was younger. I never thought of doing something like this! So creative, fun and the kids can help with it as they learn it! This is just wonderful! I’m sharing this all month long and of course pinning – kids love learning through this type of medium and it makes for a nice keepsake at the end too! I love these cute learning crafts for kids. My kids all did these in preschool and I still have them. lisa recently posted..Fueling a Healthy Life & A Giveaway Too! Those crafts to make each letter are super cute. I really love them and I bet kids enjoying making them. Wow these are all fantastic ideas!! My partner is a teacher – showing her this article straight away when she comes home! These are adorable! The girls and I will have a blast making these letters. What a fun way to learn. This is by far the coolest craft activity for preschool kids I have ever seen. Pining this to do it! Awww, I love all of these and I will definitely be doing these with my daughter! I love these! Mistee Dawn recently posted..LeapFrog makes homeschooling fun! Awwww..those alphabet letters are super cute!! I have a couple nieces/nephews that would love these!! I love every one of these…they are too cute! I’m sur my kids do these at jk and daycare but I’d love to do some myself at home! This is brilliant! What a clever method to teach. My daughter would have so much fun learning. This is PERFECT timing! My three year old has been loving learning about letters and I’ve been looking for more crafty ways to teach him. Thanks so much! Our kiddo does a letter of the week craft every week at school. They usually always do a letter of the week hand puppet too, made out of brown paper sacks. He LOVES them! I really like all these ideas that you’ve shared!! I used to do these kind of activities when my kuds were in their pre-school years, I miss those times. This is SO great! My son is homeschooled and in pre school. I am definitely going to be doing this. 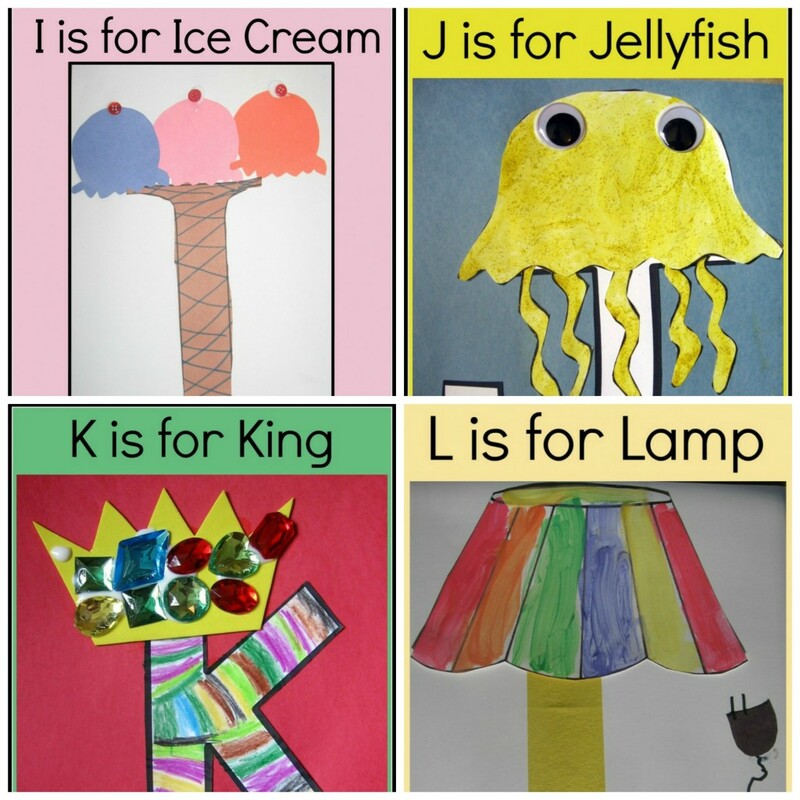 These are great crafts to do to help kids learn the alphabet. I will have to do a few of these with my friend and her girls. Those letters with pictures are really cute. Any preschooler would love it, I believe. My niece is in preschool now. I will share this with my SIL. Omg loving these crafts!!!! My daughter just finished learning her ABC’s this would be perfect for her! is it odd that i remember making letters like these when i was in kindergarten? that was my favorite part…. i loved doing stuff like that… i’ve been meaning to do them with my kindergartner and you’ve just inspired me! 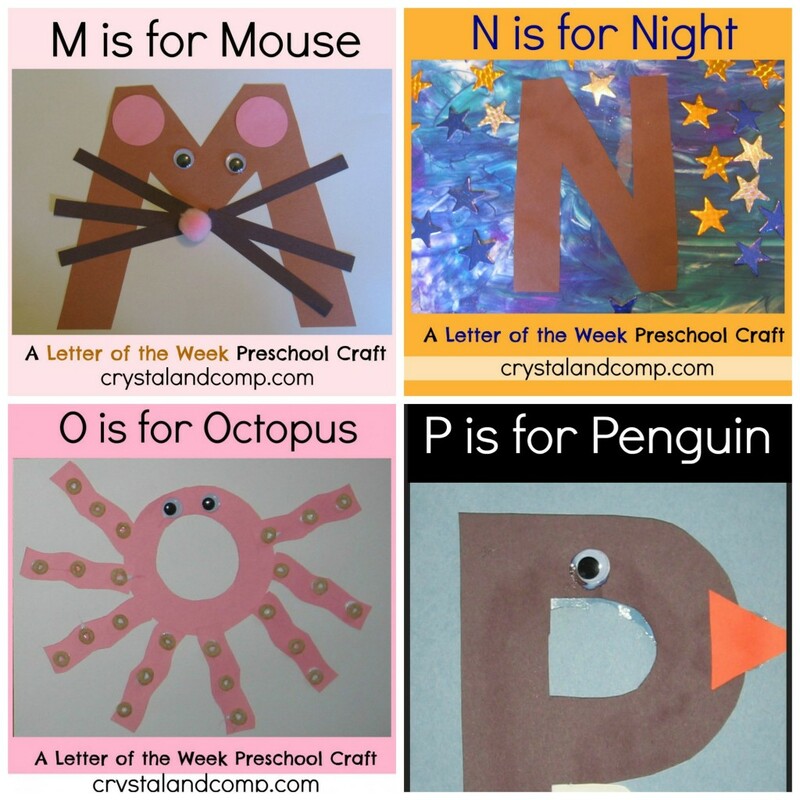 These are great ABC craft ideas! Very handy for parents with preschoolers, the kids would surely learn and have fun at the same time. These are truly great crafts! It will be a lot of fun for kids learning the alphabet this way. These crafts are super adorable. I’ll have to try a few with my youngest son. I love everything about this post. My daughter is 3 and would love to do these crafts. With winter approaching this is great indoor fun. Pinning right now! I love this, I’m actually starting to teach my youngest the letter A this week. These will be great resources. 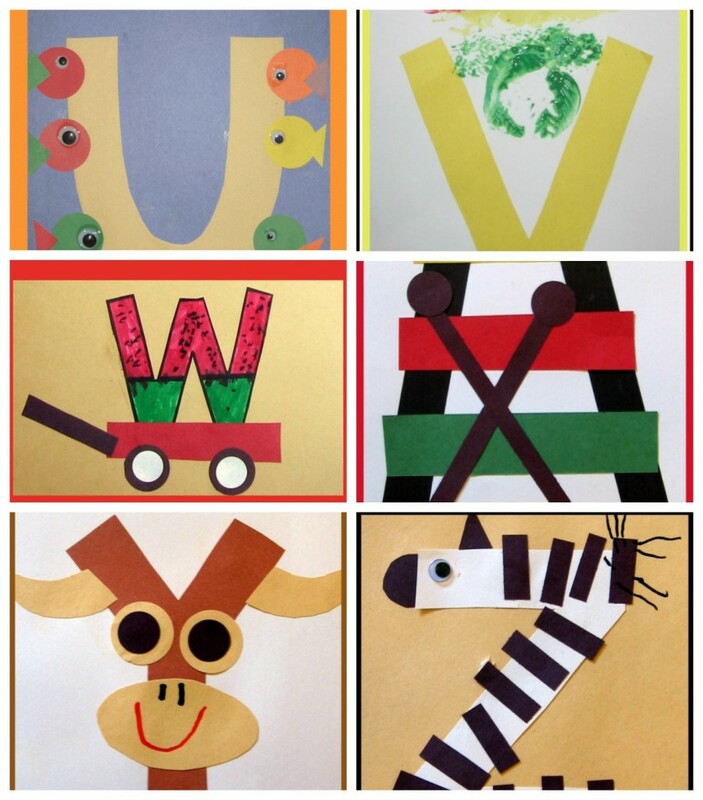 I love the artistic nature of how the letter alphabet was made, where some of the creativity came from using collage techniques. As a dog lover, I love the letter ‘D’. These are all so cute. I always have cute holiday themed crafts in my head but struggle with the day to day ones. This is a fun and exciting way for preschoolers to learn. Thank you for sharing! I’ll have to try this with my toddler. These are so cute. What great ideas! My little used to love doing this! I really love how cretive these letters are. I would lvoe to have had these when my kids were this age. Wow i am LOVING this! My favourite it the B for butterfly its super cute! Thanks for sharing! Love this! Such a great resource! This is a treasure trove if great activities and crafts for me to use with my grandson who is 2 1/2 and just beginning to want to draw and color. I love this! I used it with my granddaughter who is now in Kindergarten and a budding artist! She loves to craft and still asks to do Letter of the Week crafts and activities when she comes over to visit after school and on the weekends. These are great and super fun crafts! I love how creative and unique each letter is. I’ve scheduled this post for sharing on my Facebook page. These letter-themed crafts are too cute! Thanks for sharing. These letter-themed crafts are too cute! Thanks for sharing. ? How fun! My kiddo will love these and I love how I won’t have to do all of the research 🙂 Thanks for sharing at Share the Wealth Sunday – we hope to see you again soon! This will help me with using fine motor activities and also letter sounds.